The most recommended Mother’s Day Out Programs in Plano Texas can be found in abundance. It’s May and Mother’s Day is around the corner. However we may feel about the holiday, the greeting card and floral industries make it impossible to ignore. Mothers are supposed to be treated with breakfast in bed, a bouquet of roses, time for bubble bath and pampering, right? But often the day doesn’t live up to the advertisements. Plano, Texas has some amazing early childhood programs around town. Mother’s Day out programs are generally from 9-2 and can offer socialization as well as so many educational aspects for your child. 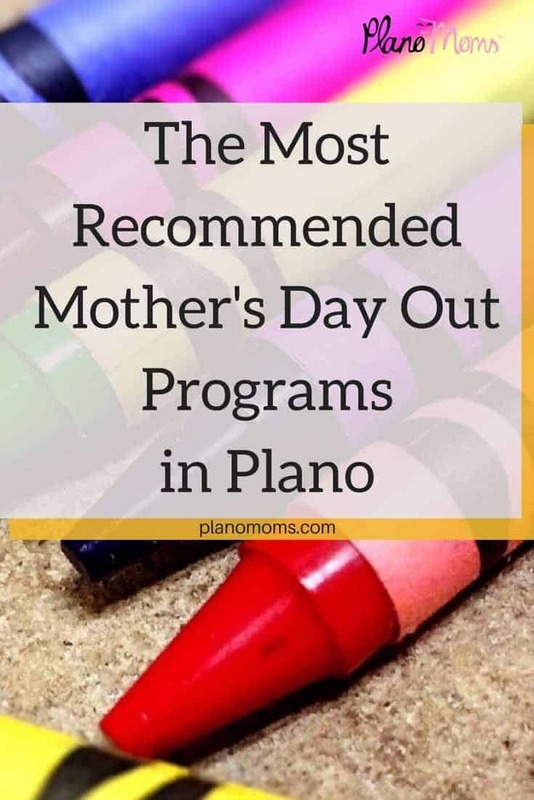 Here’s a look at the most recommended Mother’s Day out programs from Plano Moms. 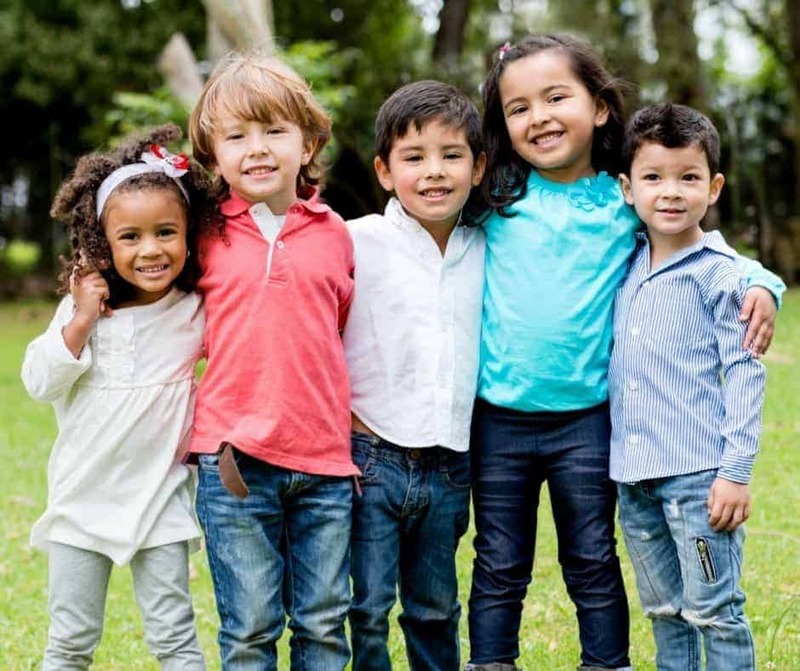 Plano Senior Early Childhood Centers Location: 2200 Independence Pkwy, Plano, Texas 75075 (469) 752-9390 Ages: 3-4’s This class meets on selected dates and times so be sure to check the website. Prestonwood Baptist Church CLC Location: 6801 W. Park Blvd., Plano, Texas 972-820-5348 Ages: 8 weeks- 5 years. Classes offered on Tues/Thurs only. Looking for more options? Check out our list of some great preschools that offer extended hours and even some have programs for elementary aged kids! Identify your priorities. Do you want play-based or curriculum-based? What days are you looking for? Visit/Tour. Make a top priority to visit your top programs. Look at the handbook and ask questions! Take your kids with you to see how they feel about the school. Get on the Waiting List: Most programs around here fill up fast! (Especially these most recommended!) so it’s always a good idea to get on the list to be ready when a spot opens up. Most schools begin registration the February before school begins. Are you a Plano Mom? If you live, work or play in or around Plano, Texas sign up for our newsletter to get weekly news, events and offers to your inbox. Join the Plano Moms community on Facebook, Instagram, and Twitter – connect with us and each other! For staying in at night after a Mother’s Day Out, we recommend trying these two suggestions below! Pull out the picture albums or call up photos on your computer. Find the baby pictures and talk to the kids about the day each was born and how cute they were when they were little. Yes, the baby years are exhausting but they are also a time of innocence and joy. All those firsts — roll over, sit, stand, walk, words — are the stuff of memories. Most families have a cute story or two per kid. Emphasize the positive. A little nostalgia is good for everyone. Or, make a meal together. Keep it simple. Stick to family favorites. This isn’t the time to try out a gourmet recipe unless that’s always part of your family thing. This is a time to celebrate the familiar. A favorite meal, whatever it may be (even if it’s takeout from a favorite pizza place), is part of what makes a family unique. Whatever the case may be, go out during the day, enjoy time with your loved ones and family and at night, relax and reminisce because Mother’s Day is only once a year – you deserve a special day! Mother’s Day founder Anna Jarvis did not like the commercialism that erupted around her holiday. Later in life, she advocated removing Mother’s Day from the yearly calendar altogether and making the day about family togetherness and love!